We’ll do a blog post at least once a month, maybe twice a month at most. Blog content should be informative and engaging. 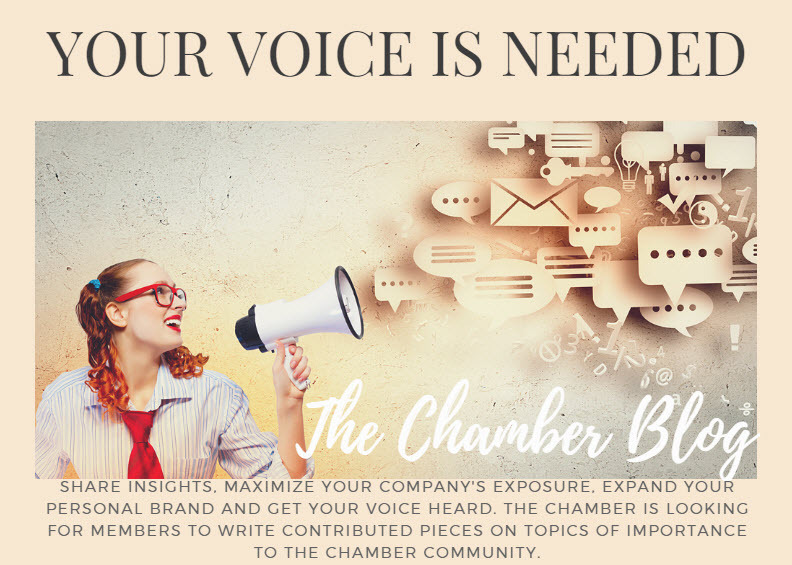 We hope that our blog will spark engagement between our writers and chamber members with comments and questions. Writers will need to submit a topic and a month preference to be published. All topics will be approved by the chamber. The blog will post the first Monday of each month. If we decide to feature to blogs in a month, the blog will post the 1st and 3rd Monday of a month. Deadline for blog submission is the Thursday prior to publish date. Please let me know what you’d like to do or if you have any other questions.